high-end electric bike with a guide. Get a thorough safety briefing and then set off to see the sights. 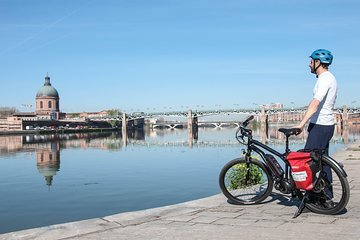 Pedal through the St. Etienne neighborhood and see the Cathedral then ride along the Canal de Brienne, where you take in river views, and get to know some local secrets down hidden alleyways. In front of the bicycle shop of our partner "cité2roues"